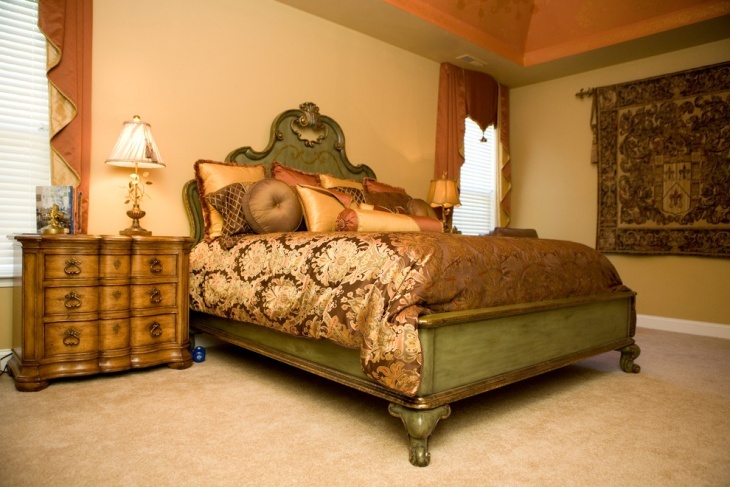 Tuscan style can add so much warmth and intensity in a bedroom. Moreover, it is also a super romantic bedroom décor idea. This interior style emerges from the Mediterranean style and is also a renowned design that is used in interior décor and architecture. If you are planning on giving your bedroom a makeover with Tuscan designs, then have a look at the awesome bedroom designs below. This gorgeous Tuscan bedroom furniture includes a master bed, curtains, lighting, and ceiling design which are all in the beige and gold theme. The bedding is also matched with the interiors of the room. 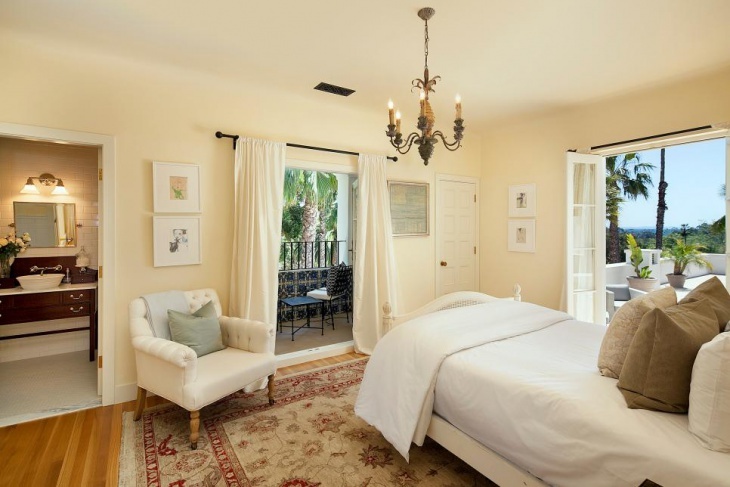 It is a luxurious Mediterranean style bedroom with classic furniture. 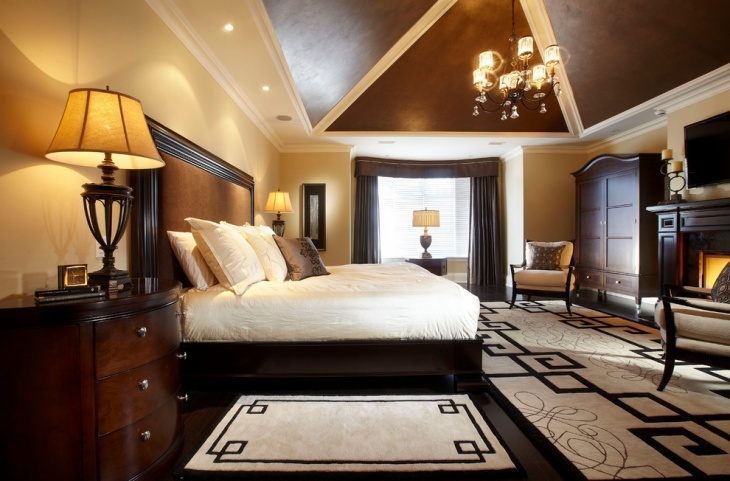 This is a dark and rustic bedroom design in the Tuscan style. It features dark browns and beige colors. 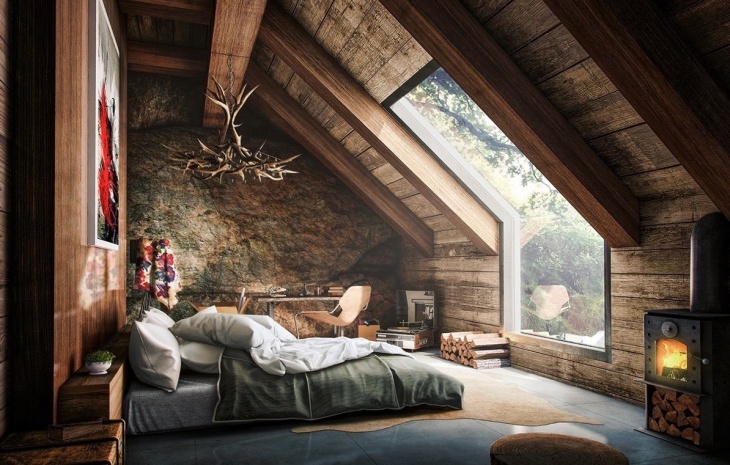 The flooring of this bedroom is of dark colored wood. It is a traditional styled bedroom design with antique furniture such as the sofa, lamp and the cupboards. 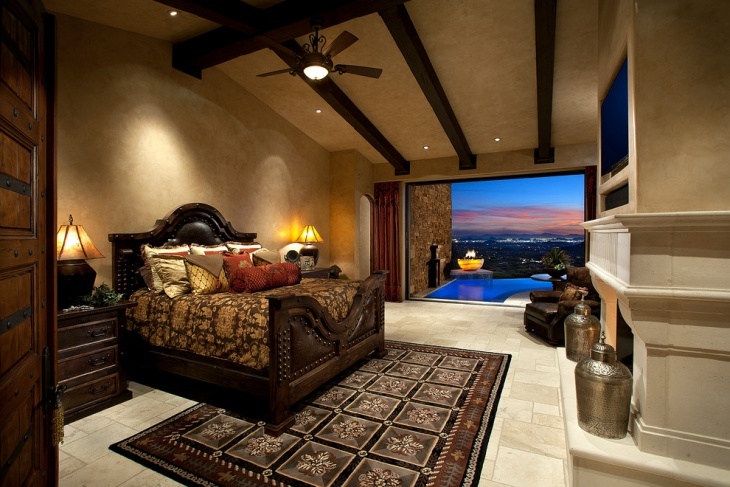 This is a master bedroom design with Tuscan style which features designed ceiling walls in the Mediterranean design. Along with that, it also features a chandelier, curtains and sofas all in rustic colors like gray, beige and brown. This stunning Mediterranean Tuscan bedroom is extremely lavish and features mood uplifting lighting with flat ceiling and borders around it in brown. It has a royal style bed, antique vanity table with a mirror, a large hanging chandelier, sofas etc. This is another traditional Tuscan bedroom that has a combo of white and antique gold. Apart from the bed, this gorgeous room features a large comfortable single seat sofa, traditional lamps on two sides of the bed, a large garden view balcony and wall to wall carpet. Yet another Mediterranean style bedroom idea inside a Tuscan villa, this room is very large and spacious. It has dark hardwood flooring, with brown wooden doors, chandelier, ceiling lights, rug in the center of the bed, sofas and couch etc. This is an eclectic bedroom which is shabby and chic with a Tuscan style. The main highlight of the bedroom is the chandelier. It features a blue colored carpet that matches with the exteriors of the bed. The design and theme is ideal for kids and teenagers alike. This is a dark bedroom featuring black and gray with a little of white hue. It features a quilted upholstered wall in black. It features small lights in the ceiling which add brightness to this otherwise very dark bedroom. Well, if you are looking to remodel or transform your bedroom into something new and great, go for the royal looking Tuscan style design. You can draw inspiration from the above Tuscan bedroom design ideas and incorporate the same in your bedroom. 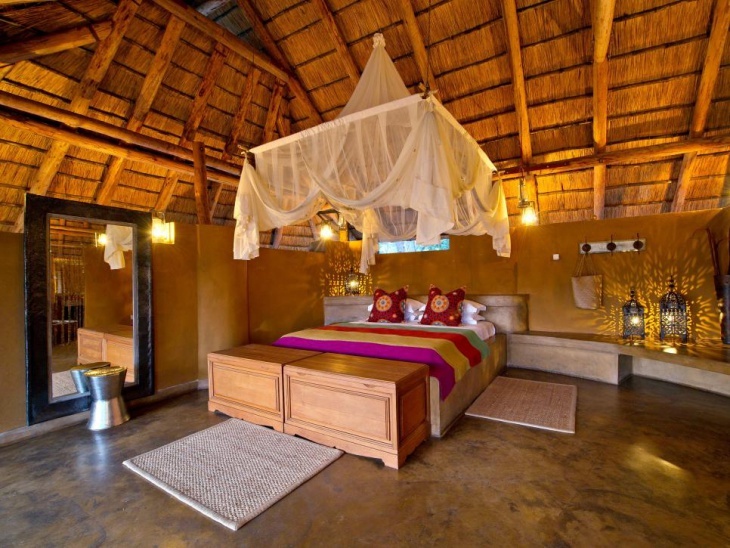 The above designs also give you Master Bedroom Ideas to integrate in your house. The Tuscan style comes from the widely popular Mediterranean designs which are elegant and sophisticated.